You’ve authored several key books on graffiti and have been deeply involved in its culture. 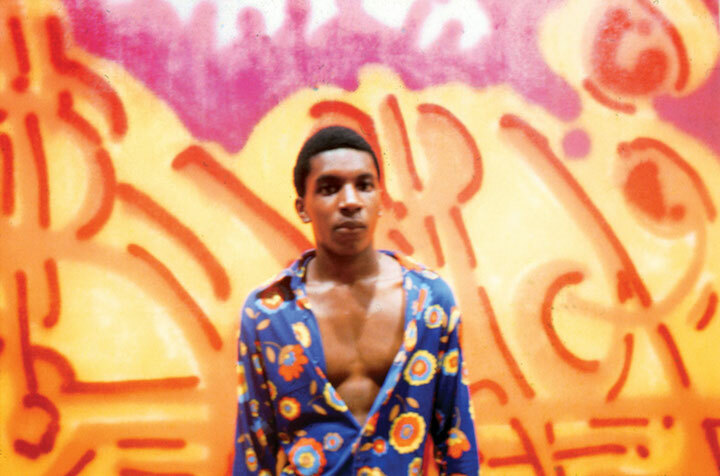 What spurred your initial interest in graffiti? And how old were you at the time? 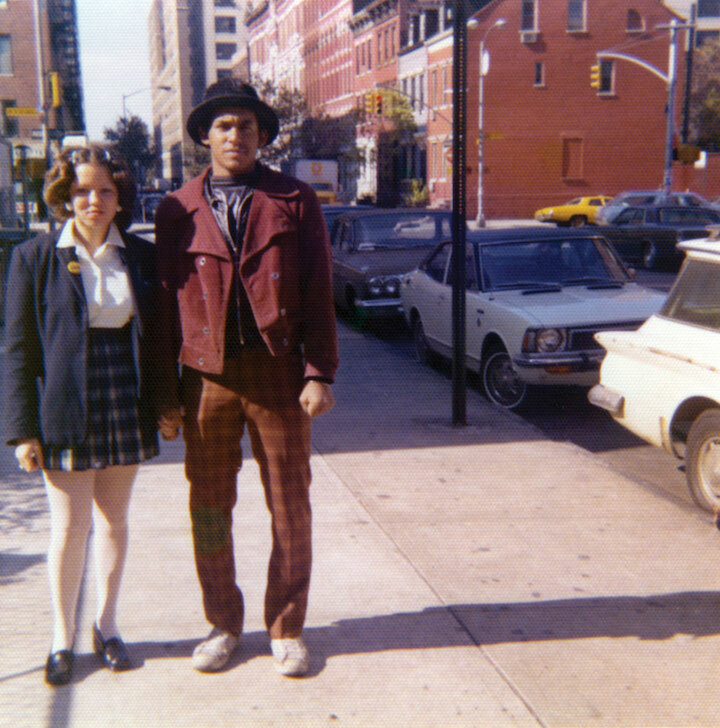 I was 13 years old and living right outside of Washington DC. A lot of my friends all had tags, and I needed to have one also. It was all around me. Everyone was doing it, and if you went downtown, you saw it everywhere. Names like COOL “DISCO” DAN covered the streets and the metro walls. 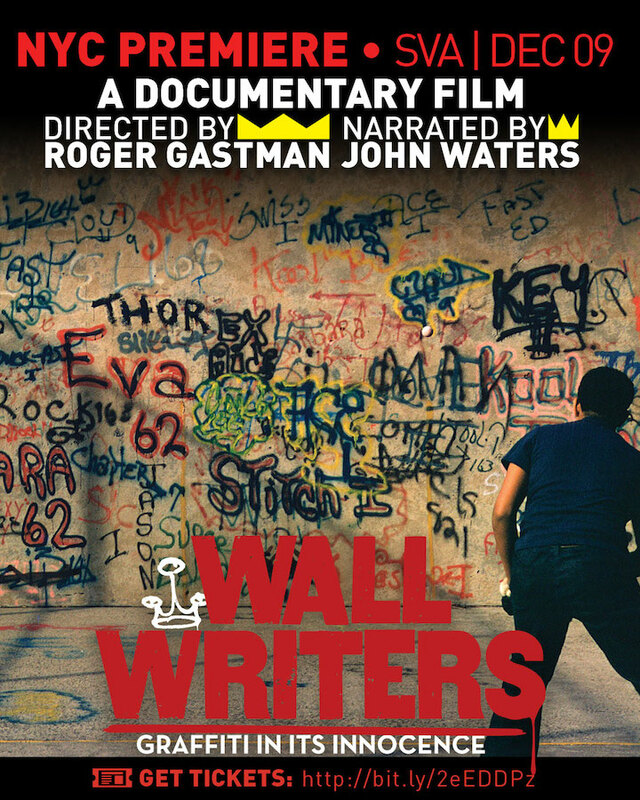 Your current project — Wall Writers — is an extraordinarily comprehensive documentation of the early days of graffiti. What motivated you to undertake this project? I was working on the History of American Graffiti book with Caleb Neelon and I honestly got sick of everyone BSing the year they started writing. I knew enough about the history to know when I was talking to legit people and not. I figured so many of these people have never told their stories I might as film them. I had no intention of this film. I was just documenting. Can you tell us something about the process? How long did you work on it? What were some of the challenges you encountered? I worked on the film on and off for 7 years. But it feels like my entire life. On projects like these some of the hardest part is finding photos and footage and other pieces of the puzzle that help you tell your story. The process would usually be to let it take over my life for 2-4 weeks at a time then go back to real life for a few months and dive back in. I could still be digging – but had to call it at some point. I know there is more out there and I hope someone discovers it. How has the response to Wall Writers been? So far we have had packed theatres everywhere. It’s been awesome. People have really enjoyed the film. We are even doing a show at the MCA Denver in February where we bring the book and film to life. 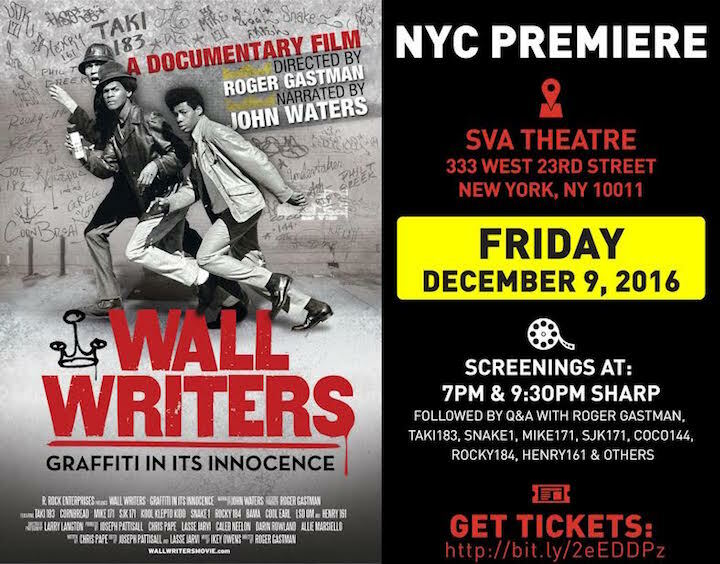 Wall Writers is premiering here in NYC at SVA Theatre Friday night. What can we expect? Friday is the big NYC premiere. I am very excited to finally show NYC the film. We will have most all of the NYC cast from the film there including TAKI 183, SNAKE 1, MIKE 171, SJK 171 and so many more. Come out and support! It sounds great! And, yes, we’ve been waiting for it here in NYC! Note: A pre-signed 350+ page companion book will be available for purchase. Tickets to Friday’s NYC premiere are still available here.